PADI Asia Pacific conducted the very first Instructor Exam in Sri Lanka from 15-16 February, 2013. Sri Lanka is truly an amazing country. A generous and hospitable nation filled with wonderful stories, a rich and diverse culture and history, and fascinating dive destinations. I had the great fortune in February 2013 to conduct the first PADI Instructor Development Course in Sri Lanka. It was a wonderful experience. The IDC was conducted at PADI 5 Star Instructor Development Centre Poseidon Diving Station, Hikkuduwa with all Sri Lankan candidates. Right from the beginning the stories and experiences started flowing. The dive centre was started in 1973 by Swedish adventurer Sven and Lesley Sembakuttige, father of the present owner Chami Sembakuttige. Fortunately Sven was actually visiting with his family so I had the opportunity to listen spellbound to his stories of diving Sri Lanka in the seventies. At 82 he only gave up diving last year and has a lifetime full of adventures from diving in the first-ever made dry suit, discovering wrecks and treasures around Sri Lanka, even showing me the tiny compressor that they smuggled into Sri Lanka to fill those first tanks – through to the importance Chamis’ dad played in the local community. No greater tribute to that exists than the comparatively low loss of life on Hikkuduwa in the 2004 Tsunami. Chamis’ family have strongly advocated protecting Hikkuduwa’s reef for decades. During the IDC we had Oliver Ridley and Green turtles nesting and hatching right in front of the dive centre. Swim twenty meters out to where we were doing the confined presentations and you have hundreds of trevally schooling, incredibly enormous turtles swimming around to check on us and a school of bump head parrotfish. It’s a great testament to the local community protecting their reef. Reefs either side of Hikkuduwa have been decimated by generations of limestone mining. During the tsunami, those areas that had lost the natural barrier protection of the reef werecompletely devastated with massive loss of life. Few died where the reef remained relatively intact – a testament to the forethought of Lesley Sembakuttige. Some of the guys leading dives there, like Lal and Sunil, have been leading dives in the local area since the 70s and 80s – such an immense wealth of local knowledge and experience. Lal actually completed the IDC and has been a registered PADI Divemaster since 1993. When I checked his card at the commencement of the IDC I remarked on how worn and water logged the card looked. He replied how he actually lost his wallet in the tsunami, only to rediscover it three years later on the inner side of the reef, PADI Divemaster card still intact. On the next PADI IDC I really hope I can organise a trip with these guys out to the Great Bassos 1701 silver wreck found by Arthur C. Clarke in 1961. They still know where the treasure lies. But then again, I would also like to go diving in March/April off Trincomalee after seeing the video from one of the other IDC candidates, Menaka, of diving with a pod of sperm whales. Guess I will have to do several more trips to Sri Lanka. We also conducted the first Enriched Air Nitrox Instructor course on Sri Lanka. This was at the suggestion of Lakshmann who was doing his PADI Staff Instructor course. He actually started diving with Mike Wallis who was filming underwater in Sri Lanka back in the ‘60s and ‘70s and was involved with Arthur C. Clarke in finding the treasure on Great Bassos. Teaching the next generation of Sri Lankan divemasters and PADI Instructors is well underway. Poseidon Diving were also hosting Plongeurs du Monde at the same time as the IDC. Plongeurs du Monde is a group of committed dive instructors that devote their time and money – with support from PADI – in training local children in under developed regions to scuba dive. Louis Rebboh, the President of Plongeurs du Monde, has established programmes in Philippines, Vietnam, and Sri Lanka and is also looking at India. Since the 2004 tsunami they have trained over 200 kids in Sri Lanka. This year saw their first batch of successful PADI Rescue Diver candidates and next year will be the beginning of PADI Divemaster training. 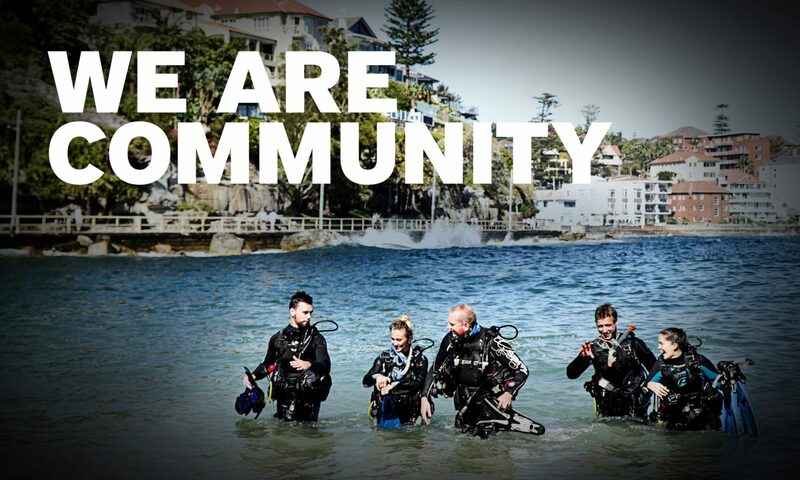 They are doing a wonderful job at helping foster an appreciation and respect in local communities for scuba diving and the underwater environment, plus helping mould our next generation of PADI dive professionals. Such a wealth of experience on this IDC, but they were all still very nervous when it came to completing the PADI Instructor examination. They did not know what to expect from PADI. At the beginning of the IDC they had recounted how on the first ever PADI Member Forum conducted by Johnny Chew after the tsunami they had all turned up nervous and worried, expecting PADI to administer exams and check their knowledge. Luckily, PADI Instructor Examiner Rob Scammell put their fears to rest and made the IE as relaxing as possible, creating an environment conducive for these guys to show how knowledgeable as divers they are and how good as instructors they will be. With drummers on the beach, drinks and curry, we celebrated 100% success for the first ever IDC on Sri Lanka. Congratulations Menaka, Praveen, Feroz and Lal. Sri Lanka will continue to grow as a dive destination with continued support from you guys and I look forward to IDCs on Sri Lanka in the future. Thanks also for the support and help during the IDC from Chami, Lakshmann, Devsiri and Rob. It was really a week of firsts. After the Instructor Exam, Rob Scammell conducted the Emergency First Response Instructor Trainer course with Rob Partridge for Temple Adventures in Pondicherry, making him the first EFRIT in India. Afterwards I had the opportunity to travel around Sri Lanka for a few days and found a wonderfulcountry rich in history and culture. I visited some of the best ruins and examples of Buddhist art that I have seen anywhere and glimpsed great national parks with a wonderful diversity of wildlife. I really look forward to returning to Sri Lanka. It is sure to become a ‘must see’ travel destination in the near future and is simply a fantastic destination for an Instructor Development Course. PHOTO: The four candidates with their dive mentors during the Instructor Development Course at Hikkuduwa, in Sri Lanka. Left to Right: Devsiri Peiris (IDC Staff), Chami Sembakuttige (IDC Staff and owner), Lal Sembakutti, Rob Partridge (IDC Staff), Lakshman Muthukuda (IDC Staff), Mohamed Feroz, Menaka Goonwardena, Praveen Wijesuriya and PADI Course Director, Mark Soworka.